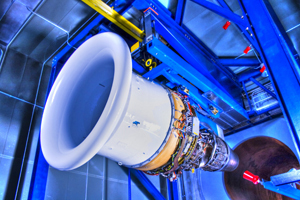 A tec designs, assembles, and installs overhead thrust frames to hold a variety of high thrust and high bypass engines, including the JT8, CF34, CFM56, JT9, CF6, RB211, PW4000, V2500, and PW2000 engines. 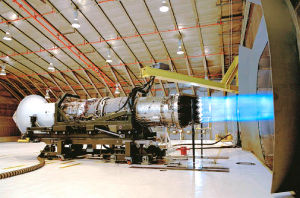 Powerful jet engines require thrust stands that can withstand the high loads (150,000+ lbs.) 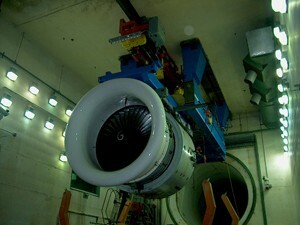 and air flows interfacing with the engine test frame. 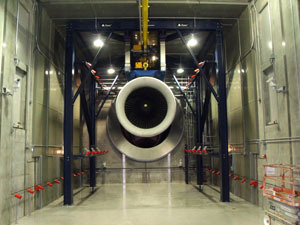 Atec has designed and installed many such aeroengine test cells with overhead thrust frames to test these high capacity engines for our clients worldwide. Celtech Corp. and Vital Link, Inc. add significantly to our military thrust stand design and fabrication expertise. 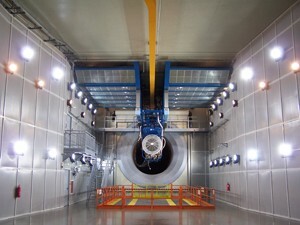 Computer modeling of all structural and fluid (air flow) considerations are standard for our designs, with most having been proven in previous use. 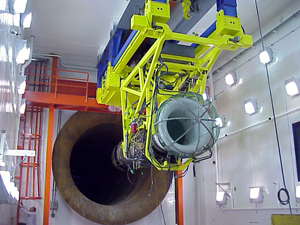 Ample factors of safety and engine growth issues are also considered in our test cell thrust frame and adapter designs. 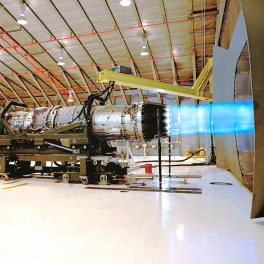 Operating factors such as utilities interfaces, easy engine adapter connection, vibration damping/isolation, hoists integration, monorail utilization, exhaust positioning, work heights determination, sub system mesh/clearances, maintenance/inspection access and worker safety are considered in our respected jet engine thrust stand designs. 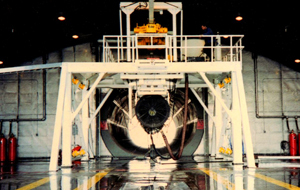 T he Atec AHT50000-1 Advanced Mobile Engine Thrust Stand (AMETS50) provides for performance testing of all current USAF jet engines with thrust up to 50,000 lbs. 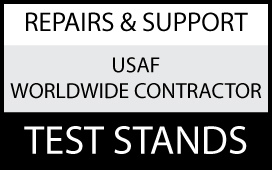 It is USAF approved replacement for the current A/M37T-20 thrust trailer system with several safety and performance improvements. Original A/M37T-20 test stands are available through Celtech Corp. 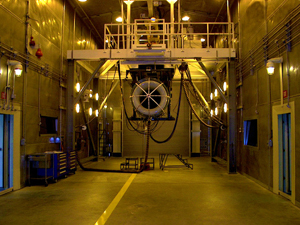 Originally designed using modern FEA techniques to replace the thrust stand in A/F32T-8 facilities, the Advanced Mobile Engine Thrust Stand is now fully compatible with all existing T-10, T-8, T-4 hush houses and engine adapter kits/equipment, including all F-100/F-110, F-119 and other advanced engine types. 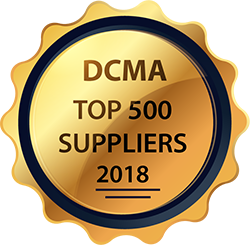 It maintains all standard M37 (48″ and 60″) rail interface dimensions and hole placements, making it forward and backward compatible with all legacy test equipment. Now available in Left or Right (mirror) configurations to align work area access for stand and test cell. It is now being delivered into USAF and allied inventories. 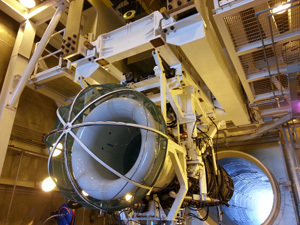 T20C testing is now proven for the Navy and other users for F404 and F414 engines, as a low cost alternative to the JETI/SETI/TPTI control systems.